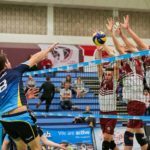 The final English Volleyball Super League match of the season concluded in a very successful manner on Sunday the 14th April 2019. 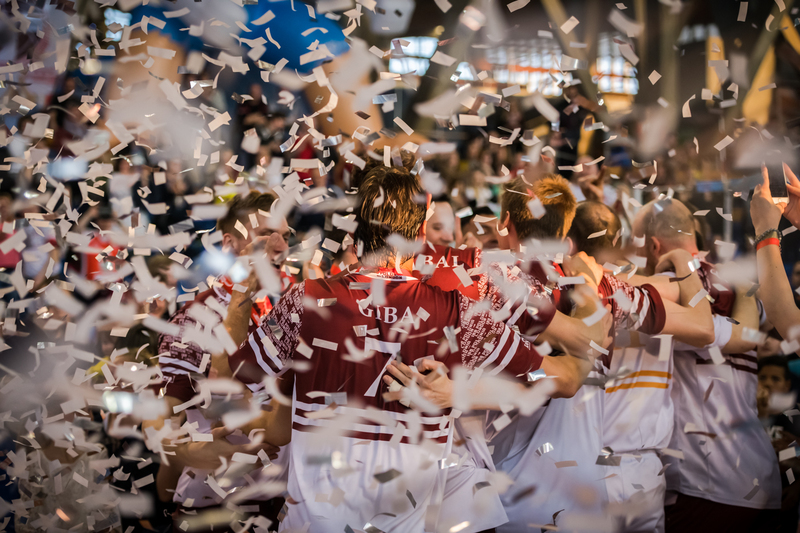 Home team – IBB Polonia London despite the knowledge of a guaranteed first place position, fought hard against Sheffield Hallam and, just like two years ago, beat their rivals and stamped their authority on the match winning 3:1 (25:15; 24:26; 25:18; 25:23) and adding the final three points to the league table. Simon Loftus’ players raised the bar of British volleyball significantly in the 2018/2019 season. The team simply had no equals. There was no opponent able to beat the team from the capital of England meaning there was a big zero in the “L” column in the Super League table against their name! Over the sixteen games, only three points were lost out of a maximum which gave a thirteen point advantage over second-placed Durham Palatinates. All of these facts culminated in yet another championship for The Team. The final game concluded with a medal ceremony. In addition, a very well known face of World Volleyball was present to take part in the fun. Giba expanded his not insignificant medal haul (to accompany a large number of Olympic, World Championship and World’s MVP trophies and medals) with the Volleyball England Super League 2019 medal. “I am overjoyed, that after seven years, I have returned and played in London; the very same place where I ended my career with the National Team. Said Giba. I felt that surge of adrenalin once again. The game provided so many emotions. It was a beautiful thing, to be able to come here, join IBB Polonia London, and to hang some more gold around my neck! I am pleased that I could be a part of this event and that my name attracted fans to the arena. The Club is doing its best in promoting the sport and is showing Britain our beautiful game, and I am very optimistic that volleyball will develop even more in London and the whole Britain” added the legendary Brazilian outside hitter and IBB Polonia London player. “The match wasn’t easy, I’m sure the venue added to the pressure. The seats were packed with over one thousand fans; the TV was there broadcasting worldwide, but we rose to the occasion and coped with the situation. The most important thing is that we won and finished the campaign undefeated. Every win is unique, but this season’s tastes even sweeter having someone like Giba in our team” commented Bartosz Kisielewicz IBB Polonia London Captain. “I returned to coaching a club after a break of six years, and I can say it was a hard year. We worked very well together and understood the common goals and ambitions; the fun we had together produced the results and the title” said Simon Loftus; Head Coach IBB Polonia London. “I can say one thing about this season: it went according to plan. I’m very proud, that I can support such a club. This is exactly how sport and business relationship should look. The Team is everybody; players, coaches, sponsors, and management who work unnoticed every day. We feel togetherness and must support each other and also develop long term together. Just as Giba said, everything that is done behind the scenes is displayed on the court. I am delighted with the season; we secured the first ever European trophy – NEVZA CUP – for the British team. We aim to keep pushing in this direction. We had the title of England in the bag some time ago, and this is why I’m overjoyed as much with the result as with the number of fans who came to witness the moment. The seating was filled with international fans; not only Polish: but above all British and Brazilians!” said Jacek Ambrozy. 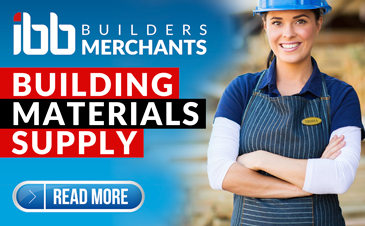 owner of The Club’s sponsors IBB Builders Merchants. “Giba was outstanding for us during the match. He was so positive and enthusiastic. He is a true professional and gave our players lots of advice. His presence, undoubtedly, helped to promote the event and drew the fans from far and wide. The show was spectacular! We are honored that such a person was on our team. I hope that in the future, IBB Polonia London will attract similar players.” concluded Simon Loftus – Head Coach. “Giba gave us advice and calmness. He spoke during training about tactics and technique. We notice only positives since he joined us. The event was amazing and totally professional. I want to thank everyone from the bottom of my heart, who made this possible: sponsors, management, fans and players” added Kisielewicz. The atmosphere in the arena and on the court was electric. The supporters rose to the occasion; there were over one thousand tickets sold. The fans had a great time and supported the whole team as well as each individual. The pictures of happiness will live long in The Club’s memories. Despite the conclusion of The Super League, the players don’t have time to rest. After the Easter break, there is the small matter of the National Cup to regain. On Saturday, 27th April 2019, Simon Loftus’ players will fight for the final title of the season. Until now, IBB Polonia London has won everything they have contested including the NEVZA Cup, the Super League title. Now they must focus on the final prize of the season and take back the Cup. “The season is a historical one for us, and winning the national Cup will be the cherry on the cake. The game may just be the hardest one of the season as everyone will put us as favourites. The opposition will be training hard and we can expect a tough fight against them” added Kisielewicz.